From 2019, CPhI South East Asia – organised by UBM – has announced it will alternate its annual location between the region’s two largest pharma economies, Indonesia and Thailand. Contract services and 2017 regulations are igniting growth in Thailand’s pharma economy. The event’s first visit to the country comes at a significant time, as pharma sales are expected to grow by 8.4% in 2019, with multinational corporations increasingly looking to partner with local contract manufacturers in order to expedite and streamline market access. According to data from BMI Research, by 2021 the pharmaceutical market is forecast to reach a value of THB209.7 billion (US$6.3 billion), experiencing a compound annual growth rate (CAGR) of 5.4% in local currency terms and 6.8% in US dollar terms. Over the extended forecast period, medicine sales will experience a 10-year CAGR of 5.5% and 6.3% in local currency and US dollar terms respectively, reaching THB275.2 billion (US$8.4 billion) by 2026. According to PhRMA's Special 301 submission for 2017, Thailand was once again designated as a 'Priority Watch List Country'. Notably, only India and Indonesia share this status in the entire Asia Pacific region. The country is also set to benefit from amendments to the Patents Act 2017 – which enables an expedited Thai patent application for companies with existing patents from Australia, China, the EU, Japan, South Korea and the US – further cementing international interest. 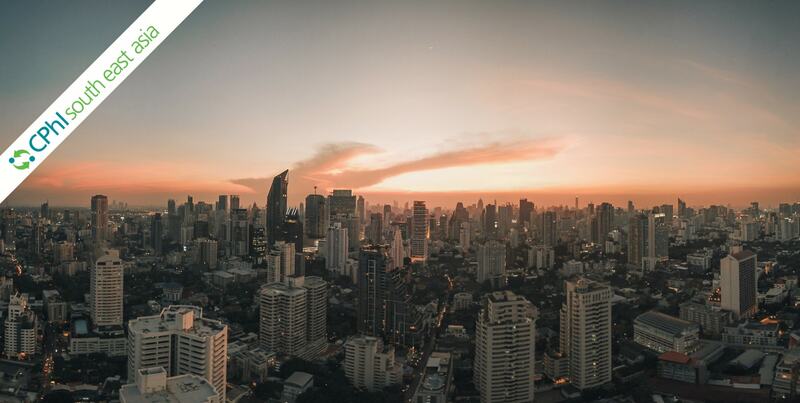 Kilbee added: “The 2019 edition will open increased international opportunities for domestic manufacturers in Thailand that have not yet had the capacity or partners to expand regionally. Plus, with MNCs looking to capitalise on regulatory changes this year, we expect many new international attendees." In 2019, CPhI South East Asia will take place at the Queen Sirikit National Convention Center (QSNCC) in Bangkok, Thailand (12-14 March) before returning to Jakarta International Expo (JIExpo) in Indonesia in 2020 (4-6 March). Organisers’ anticipate a significant growth in new visitors from more diverse locations with the new venue, catering to attendees that were previously unable to participate. CPhI South East Asia, which just celebrated its 7th year, will co-locate in 2019 with FDF, ICSE, P-MEC, InnoPack and the returning LABworld South East Asia – following a hugely successful opening year. UBM forecasts the inaugural edition in Bangkok will host more than 6,000 attendees and 270 exhibitors. Executives will come from across the region’s fastest growing industries including pharma ingredients professionals, packaging experts, machinery providers and contract manufacturing, as well as nutraceutical companies and laboratory specialists. Ten workers were killed in an accident at a pharmaceutical intermediates and APIs plant in China’s Shandong province on 15 April, it has emerged. This was the second fatal industrial accident at a chemicals-related plant in China within the space of a month. Repercussions are continuing from the blast at the Chenjiagang Chemical Industry Park in Xiangshui, China, on 21 March, which killed 78 people and injured over 600 more. UK-based CDMO Sterling Pharma Solutions has acquired CiVentiChem’s US facility at Cary, close to Research Triangle Park in North Carolina. The management and joint works council of Merck KGaA have made a comprehensive agreement about the main site in Darmstadt, Germany, with the stated aim of securing its future viability as a central science and technology hub and further expanding it.